Ben Stiller’s fifth directorial effort is certainly his most ambitious film, though probably not his riskiest. Reimagining and embellishing James Thurber’s famous short story, The Secret Life of Walter Mitty blends comedy and drama, reality and fantasy to show how a thoroughly average man overcomes his fear of the world. It’s a familiar narrative, inviting us to embrace all that life has to offer, and Stiller successfully manages these tones, but the film doesn’t hide its effort to tug on our heartstrings. The Secret Life of Walter Mitty looks to be a crowd-pleaser. It’s funny and romantic, it celebrates the everyman and the full experience of life, and it uses Walter Mitty’s famous daydreaming to indulge in fun setpieces and audience wish-fulfillment. The film really wants these emotional experiences, and while that strain can be a bit distracting, it ultimately reaches them. 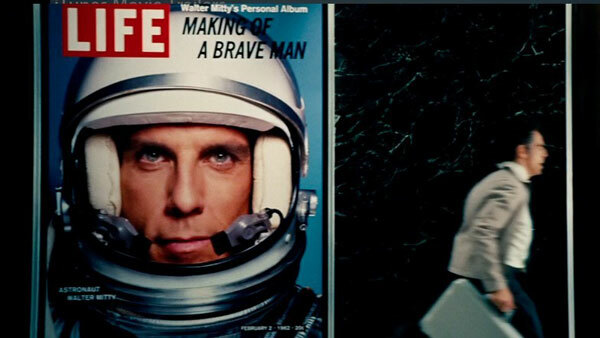 Stiller plays Walter Mitty as a man who’s watched life rush by without mustering the courage to reach out and stop it. Importantly, he isn’t cripplingly awkward or pathetic, he just needs a little push. Walter works for LIFE magazine, and his push comes in the form of a missing negative from a famous photographer (Sean Penn) who believes it to represent “the quintessence of life.” Unfortunately the photographer is an unpredictable globetrotter—the kind of man who lives all the adventures Walter can only imagine—so Walter sets off on a globetrotting voyage to track him down, coming out of his shell a bit more at each turn. Walter is also driven by his unspoken affection for his coworker Cheryl (Kristen Wiig), whose e-Harmony profile seeks exactly the kind of adventurous man he isn’t. In the film’s funniest daydream, Walter imagines them growing old together, him aging backwards like Benjamin Button into a freaky, shriveled baby. Understandably, these daydreams represent wild swings in the film’s tone, a kind of catharsis for both Walter and the audience, but their levity is a welcome departure from the film’s occasional self-seriousness. The Secret Life of Walter Mitty is not a subtle film, but its earnestness makes it work.